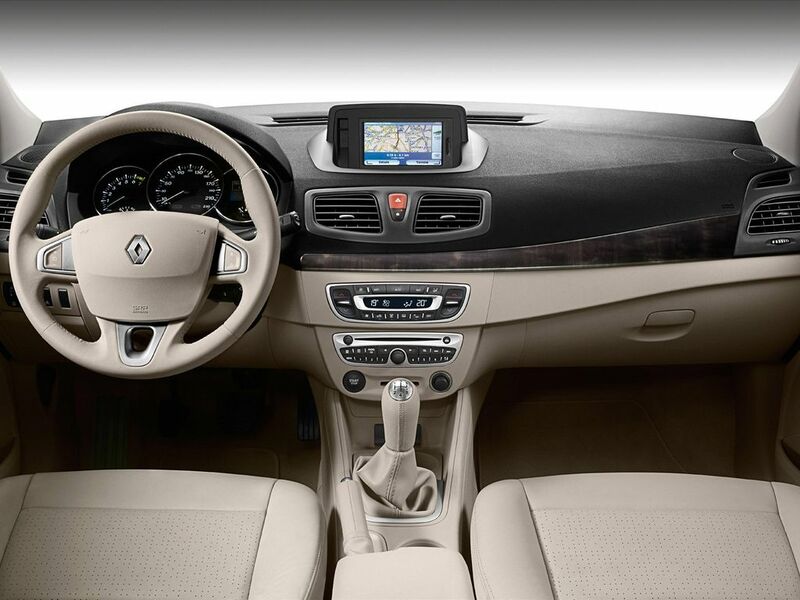 Renault is to enhance its range in autumn 2009 with an elegant new saloon: FLUENCE. Renault Fluence was designed with the aim of standing out as the most beautiful car of its class and some features set it apart from competitors: beneath its influential, sporting exterior, Fluence features a luxurious cabin and a barrage of helpful technological assistance. Fluence targets consumers looking for a status-enhancing saloon and will be built on the current assembly line at the Oyak-Renault plant in Bursa, Turkey, where the late Mégane it was previously produced. • further passenger space than any main rival, including 1,480mm of elbow room at the front and 1,475mm at the rear. • the driver's seat has a huge range of adjustments, 240mm fore or aft and +/-35mm in terms of height; the steering wheel can be adapted for rake and reach, too. • a wide range of audio options including the range-topping 3D Sound by Arkamys® system, Bluetooth® telephony and 'Plug & Music' digital connectivity. • reliability and durability proven by a ferocious testing regime; our quality control systems are designed with certain markets' most demanding road conditions in mind. Streamlined headlights herald the start of an elegant waist line which sweeps harmoniously along Fluence's sides to the boot. The surround and chromed grille of the upper air intake embellish the car's front-end looks with a sporting flourish, while Renault Fluence's status-enhancing appeal is heightened by its sculptured wheel arches and long bonnet. 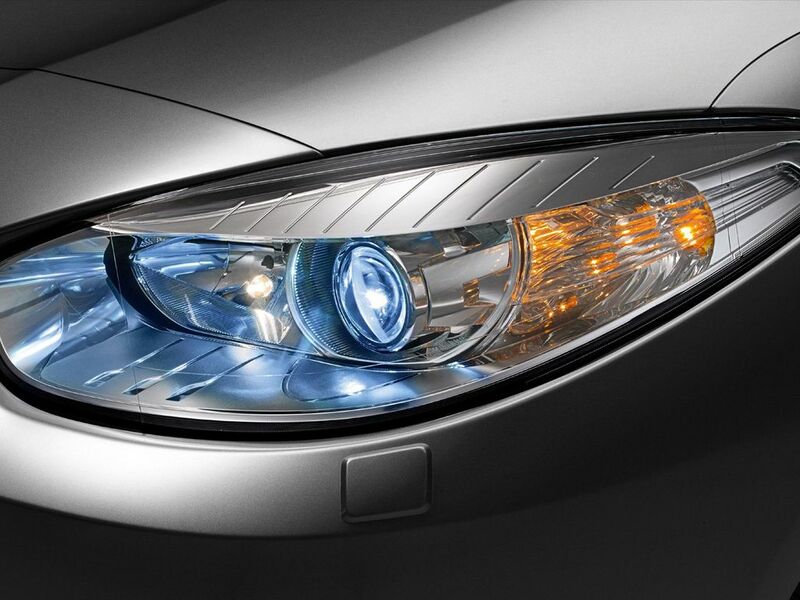 At the rear, the horizontal, two-part lights allow a generous boot aperture and reinforce the car's thoroughly modern styling. Fluence packs several opulent upgrade touches: the lower window and boot trims, foglamp surrounds and door handles are finished in chrome, while the B-pillar uprights are gloss black along with body colour side protective moldings. Renault Fluence creates an impression of quality, and particular attention has been paid to the fit and finish of body panels (windscreen pillars and refueling flap, for example). The rear bumper incorporates discreet parking sensors. At rest, the windscreen wipers are tucked away behind the bonnet's upper edge, partly for aesthetic reasons, but also to reduce wind noise and improve aerodynamic efficiency. In the cabin, the airy facia design incorporates taut, uncluttered lines that are complemented by the sweep of the dashboard trim strip. Essential driving functions and useful accessories all fall easily to hand. They are concentrated around the steering wheel and center console with a view to freeing up as much space as possible and to make the car even more user-friendly. The step-up in range is equally visible in cabin details such as the chrome finish applied to door handles, instrument surrounds and gear-lever knob, as well as the availability of either light- or dark-hued leather upholstery. - vary the seat position (it can be moved fore and aft through up to 240mm, and up or down by +/- 35mm). All essential cockpit functions fall easily to hand. These include the controls for the navigation and climate control systems, the steering-wheel-mounted radio and telephone fingertip remote controls and the controls for the cruise control/speed limiter. Renault Fluence's cabin provides more than 23 litres of stowage space, including an illuminated, refrigerated, nine-litre glovebox, a 2.2-litre centre console and a 2.6-litre bin in each front door. The 530dm3 boot capacity is one of the biggest in its class. Access is facilitated by a low sill and a large (1,020mm) aperture, which has been made possible by incorporating one part of the rear light cluster within the boot lid. - beneath the front seats and at the rear of the centre console for those sitting at the back. - the 'Fast' mode ensures rapid ventilation of the whole cabin. - a range of functions that can be tailored to suit individual needs or tastes. The system's integration within the dashboard is a pledge of quality and security. It is easy to update and extend, too, by simply linking its SD card to the internet. A permanent, dedicated website (http://www.renault-multimedia.com) provides up-to-the-minute road network data and enables users to make personalized set-up changes. - a double antenna to provide optimal radio reception. 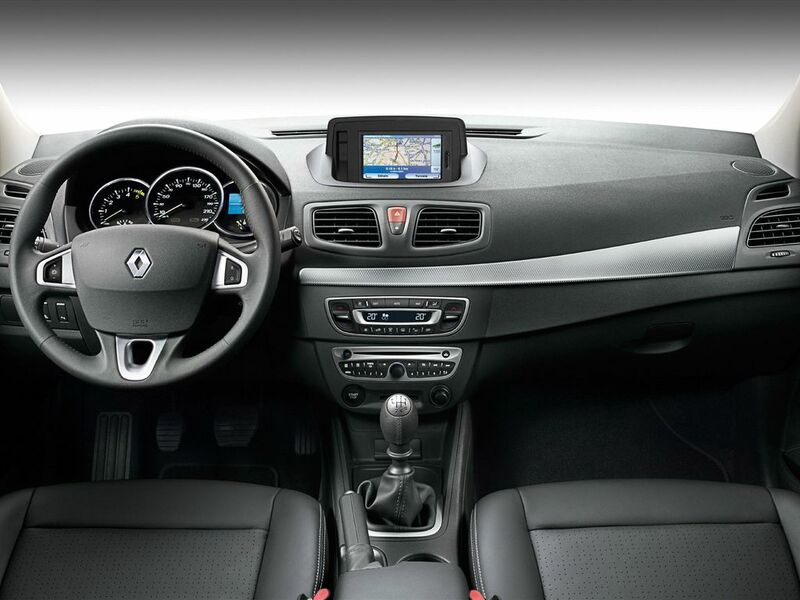 Fluence benefits from Renault's ongoing efforts to reduce the cost of everyday motoring by between 20 and 30 per cent. For instance, oil-change intervals have been extended to 30,000 kilometres (or every two years) on all diesel models (with the exception of the dCi 85: 20,000km/every year), while climate control systems no longer need to be replenished. 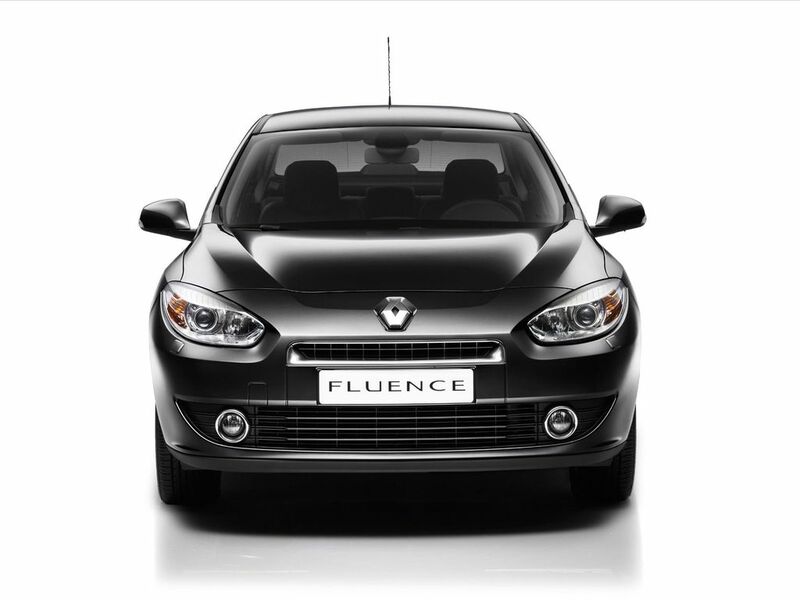 Fluence was designed using the same philosophy that applies throughout the Renault range. The company has capitalized on studies conducted by LAB and also used its extensive engineering expertise to develop efficient safety systems relevant to the real-world driving conditions found in all the countries where Fluence is marketed. Renault Fluence goes on sale in Turkey from November and will benefit from the Mégane II four- door's fine reputation in three best-selling markets: Turkey, Russia and Romania. Launched in late 2003, the Mégane II four-door met with considerable success in Turkey. More than 140,000 cars were sold in six years, making it the most popular car in its class. It annexed more than 20 per cent of sales in its segment and emerged as one of the country's top three sellers overall. The medium-compact segment continues to expand and accounted for more than 40 per cent of 2008 car sales in Turkey (up from 36 per cent in 2005). Of these, four-door saloons are the dominant choice and account for 70 per cent of sales. Thanks to the Mégane II four-door's powerful, economical 1.5 dCi engine, Turkish drivers had a diesel option in this class for the very first time. Launched in 2004, the Mégane II four-door has notched up 60,000 sales in Russia to become the brand's third most popular model, after Logan and Symbol. Medium-compact segment sales grew sharply from 2006 to 2008, up from 19 per cent of the market to 25 per cent, while four-door saloons dominated sales. The medium-compact segment represents 30 per cent of the national market – and four-door saloons account for half those sales. Until 2007, the Mégane II four-door was the best-selling car in its segment. By 2009, despite being six years old, it remained the fourth most popular car in Romania and was second in Renault's domestic sales chart. - Almost half the latest investment was spent on providing tooling for suppliers. - €35 million on stamping equipment: 40 sets of tooling, comprising 171 tools, were required to build Renault Fluence's platform and superstructure. - €21 million on the body shop: a new, versatile AIMS line (Alliance Industrial Manufacturing System) has been created thanks to a process developed by the Renault-Nissan Alliance. This system enables different car body styles to pass along the same line. Bursa can currently manufacture two different body types on the same platform, and the new procedures will enable the plant to double its capacity. This new line also features dedicated hubs for the preparation of parts, as well as for preparing the assembly tools and welding clamps used by the operators. 160 members of staff spent time at Renault's Technocentre in Guyancourt, France: 60 were machine operators and the remaining 100 comprised quality control engineers, AVES quality assessors (Alliance Vehicle Evaluation Standard) and engineering staff who were able to oversee the manufacture of the first batch of Fluence prototypes at the CRPV (Prototype Vehicle Production Centre) and prepare for the car's introduction at the factory. The Bursa factory has introduced a range of measures in line with the Renault group's commitment to the environment. Bursa was granted ISO 14001 certification in 1999 and benefits from regular investment and training programmes. As a result, it has succeeded in reducing its consumption of energy (per car built) by more than 45 per cent between 2001 and 2008.